Robin Bank$, the winner of last year’s talent search, will be guesting with Fathead as part of the TBS collaboration with du Maurier Downtown Jazz this year. The Friday afternoon (5:30pm)event is part of the opening of the Festival and will take place at the du Maurier Stage, the tent at the corner of King & John Streets. Robin will also be on hand to introduce this year’s winner of the New Talent Search at the Heinekin Soul `n’ Blues Festival, July 19, at 5pm. She and husband Mark are currently hard at work on their first album at Puck’s Farm. Festival Fever: Even though the Toronto area has yet to heat up to summer temperatures, recent festival announcements will warm the bosom of any bluesfan. The Annual North By Northeast Showcase takes place June 12, 13 & 14 at dozens of clubs around the city. Each club usually has five bands or performers from across the continent each night, starting at 9pm. The two clubs that are of most interest to blues fans who want to see `the next big blues thing’ are Chicago’s & the Silver Dollar. In the interest of saving space, their listings are in the usual place. The du Maurier Downtown Jazz Festival kicks off on June 20th with a day of blues in the marquis tent at King & John. Fathead will be joined by Robin Banks for a set at 5:30, Lucky Peterson is the featured artist at 9:30 and Downchild takes the stage at midnight. 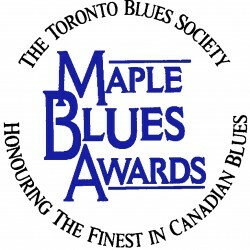 Other blues evenings unfold at Yorkville & Bellair streets (the Royal Bank Pavilion) including a double bill of Georgette Fry and the Stephen Barry Blues Band with Vann “Piano Man” Walls on Saturday, June 21 at 8:30pm, The Dirty Dozen on Sunday, June 22 and Jimmy Witherspoon on Sunday, June 29. TBS Charter and Family members can take advantage of reserved seating for the Lucky Peterson show by contacting the TBS office before June 14. The first Halton Region Blues & Roots Festival makes its home at the Hardball Southside June 26,27 & 28. It kicks off Thursday with a beach party at the Kelso Conservation Area. It’s a 5 minute drive on the free shuttle from the club and includes free babysitting and admission to the park. The shuttle returns to the club in the early afternoon to continue the festival in the parking lot with two Milton bands, Blind Dog Calhoun and Black Coffee, a solo Delta blues set from Paul James, followed by Jack de Keyzer and Mel Brown with Canadian and US mystery guests. After a complimentary New Orleans Buffet, the festivities continue with appearances by Bad Weather, Limestone and from Biloxi, Miss., Pat Ramsey, former harp man for Johnny Winter. On Friday the bands include the Bob Reed Jazz Group, Fathead and The Rita Chiarelli Band. Saturday, two sets each by Nathan and the Zydeco Cha Cha’s and Little Charlie and the Nightcats. For Info call (905) 873-6374, preferably in the morning. The Heineken Soul `n’ Blues Festival takes over Harbourfront Centre July 18-20 with the usual array of new faces and established international artists. On Fri.: Alvin Youngblood Hart, Colin Linden, Colin James, Morgan Davis and Little Mack Simmons with Fathead. Sat. : Guy Davis, Fruteland Jackson, Doug Cox & Ken Hamm, Kevin Duke, Curley Bridges, Lester Quitzau, Carlos del Junco, David Kimbrough, Kenny “Blues Boss” Wayne with Mark “Bird” Stafford and James Peterson. Sun. : Les Sampou, Gayle Ackroyd, Corey Harris, Andrea Karam & The Fun Guys, Hans Theesink & Blue Groove with Terry Evans and DeeDee Slye & The Crawdads. 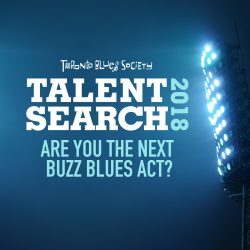 The winner of the Toronto Blues Society’s new talent search will also appear and there will be films, workshops and more. The complete schedule will be printed here in the July issue of the newsletter. The 9th Annual Beaches International Jazz Festival, July 26 & 27, will feature as the Saturday night headliner Australian slide guitarist and Alligator recording Artist Dave Hole. Slightly afield, but well worth the trip, The Ottawa Citizen Blues Fest lineup is looking hot: Friday July 4 – Suzie Vinnick, James Cotton & Luther Allison; Saturday July 5 – Rocket Rached & Fat City, Junior Wells Lucky Peterson, Deborah Coleman, Jumpin’ Johnnie Sansone, Long John Hunter & Little Feat ; Sunday July 6 – Montreal Jubilation Gospel Choir, Guitar Shorty, Anson Funderburgh & the Rockets featuring Sam Myers, Sherman Robertson, Tony D, Roomful of Blues & Dr. John. The Festival takes place in Confederation Park. Info-(613) 233-8810. The lineup for the New York State Blues Festival in Syracuse, July 18-20, includes Eddy Clearwater, Kenny Neal, Jimmy Thackery, Lavelle White, Gary Primich, Saffire, Chris Cain, Big Dave & The Ultrasonics, Alvin Youngblood Hart, Paul deLay, James Peterson, Marcia Ball, and The Nighthawks. The complete schedule and other details can be found at http://members.aol.com/JMurphy211/NYSBluesFest.htm. Blues Baby: Tony D is the proud papa of a bouncing baby boy! Santino D was born on April 28th, and net-rumour has it, he was born Strat-in-hand. Congrats, Tony. Going Places: Philip Sayce has signed on for a stint with The Jeff Healey Band, taking the guitar spot previously held by Pat Rush. They leave shortly for a European tour. Matti Temiseva, who arranged the Philip Sayce Group’s very successful tour there last year, has signed on to manage the Lee Hollingsworth Band, a group from Wasaga Beach that is playing more frequently in Toronto these days. While we’re talking about touring over the pond, Mose Scarlett is heading off to Scotland and England where he will be touring with Jim Condie until July 16. performing at the Lieth Jazz Festival and club dates in Edinburgh, Burton-on-Trent, Painswick, Windermere, Brighton and other cities in England and Scotland. Downchild is on the road again. Bassman (and TBS VP) Gary Kendall reports from Banff that the band is having a successful tour as they travel through the Rockies towards Edmonton. Midnite Walk hosts a Sunday afternoon Juke Joint (4:30pm – 8:00pm) at The Glen Evis Inn, located at 2282 Queen St. E. in the beaches. Guests have included Chicago Pete, Danny Marks, Maureen Brown, and Morgan Davis. Among future guests to be slated are Danny B., Mike McKenna, and John Dickie. For more e-mail Steve Grisbrook at midnite1@istar.ca. Montreal’s Les Disques Bros. is launching In the Evening from Vann “Piano Man” Walls on June 11. The album features Michael Browne and the Stephen Barry Band. Vann became a Pioneer of the Rhythm & Blues Foundation on March 28. He is playing some of his greatest hits as “Chains of Love”, “Drinking Wine” or “Supermarket Baby” as well as some new songs. In September, they release the first album of Québec’s new phenomenon Steve Hill. This 23 years old guitar player started his professionnal carreer 8 year ago and has already shared the stage Hubert Sumlin, Bob Margolin, Etta James, John Mayall, Pinetop Perkins, Mississippi Heat and many more. He leads a power trio. The Stephen Barry Band next album (their fifth) will be coming out in November. Ragged Pup has proudly announced that Wyckham Porteous has won the Pacific Music Industry Award (P.M.I.A.) award for Best Roots Traditional Album of 1996 for his album Looking For Ground. Wyckham is currently putting the finishing touches on his new album Dog Years that is due for release in Canada in July. Joining Porteous were Moris Tepper (Captain Beefheart, Tom Waits) on guitar and some production, Rob Becker on bass and Pat Stewart on drums. Ragged Pup is also proud to announce the recent signing of Edmonton based songwriter/performer Luann Kowalek. Kowalek will be starting her new album in October with Rick Fenton, of CBC’s Saturday Night Blues fame producing. Studious guitar players everywhere will mourn the loss of Mel Bay, who died at age 84 of a heart ailment on May 21st in St. Louis. His face was on the books that taught generations of guitar students, starting with his first book “The Orchestral Chord System”, published in 1947, to his 1948 “Modern Guitar Method”, and later the “Mel Bay Method”, which offered how-to instructions for a variety of instruments. Chicago piano man elder Lovie Lee (Eddie Lee Watson) passed away on May 24th. Best known as pianist in Muddy Waters‘ band in the early 80s, Lee has performed around the Chicago club scene since the 50s. He was also like an adopted father to harp player Carey Bell, and mentor to many other Chicago area musicians. HANDY AWARD WINNERS: The Blues Foundation announced the winners of their 18th Annual W. C. Handy Blues Awards. The standout winner of the evening was Luther Allison, who took three Handy Awards, winning for Contemporary Blues Male Artist of the Year, Blues Entertainer of the Year, and (with the James Solberg Band) Blues Band of the Year. Allison, who took the Handys by storm in 1996 with five awards, also led a star-studded jam session after the awards ceremony that featured 1997 Handy Award winners Bobby Rush and James Cotton as well as 16 year old Blues guitar phenomenon Jonny Lang. The Skylands Blues Society of Hackettstown, NJ was the Blues Organization of the Year winning the “Keeping the Blues Alive” Award. Held in Memphis’ historic Orpheum Theater, the Handy Awards were filmed for television broadcast for the first time this year. NHK, the largest non-commercial network in Japan, financed the production, which is expected to be licensed for re-broadcast in Europe and the United States. The W. C. Handy Awards are considered the highest musical honor given in the Blues industry. Presented annually by The Blues Foundation, the awards honor twenty-three categories ranging from Blues Entertainer of the Year to Best Blues Reissue Album of the Year. Honoring performers, songwriters, and record labels for their accomplishments in the past year, the Handys stand as tribute to the fact that Blues continues to thrive and evolve on the world music scene. Presenters of the awards included Bill Morganfield, son of the great Muddy Waters; the legendary Syl Johnson; and Reverend Gatemouth Moore, who was the first Blues singer ever to perform at Carnegie Hall. The evening was hosted by the indomitable Ruth Brown, whose stellar Blues and R&B career spans more than four decades. The evening featured performances by some of the most revered names in Blues, including Pinetop Perkins, Ann Peebles, Rory Block, R. L. Burnside, and Johnny Clyde Copeland in his first major performance since a 1996 heart transplant. Perhaps the most poignant musical moment of the evening occurred when host Ruth Brown performed a musical tribute to her friend, the late Lavern Baker. Brown took time to thank Northwest Airlines VP Chris Clouser, who was in attendance, and who Brown explained was responsible for flying Baker’s family members from the Philippines to her funeral service in Virginia at no charge. Festival Finder: This is a new website that’s really handy for searching festivals in any genre of music. 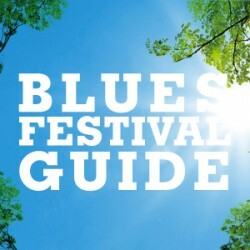 The blues festival listing is extensive and has lots of info for each event. Check it out at www.festivalfinder.com/. Blues-l bytes: Nuri Nuri from radio station KPFT 90.1 FM in Houston reported the death of his friend, Keith Ferguson, formerly with The Fabulous Thunderbirds (1974-1983) who passed away at the beginning of May. Ferguson was one of the original T-Birds and played bass alongside Kim Wilson, Jimmy Vaughan, and Mike Buck. Since leaving the T-Birds, he played with the Tail Gators and recorded with the LeRoi Brothers with singers Steve Doerr and Don Leady. More recently he played with The Solid Senders and other local Austin bands. Muddy Waters thought of Keith Ferguson as his favorite bass player. The latest recording by Son Lewis, Next Train Smokin‘ is still available for a limited time, by direct mail from Silk City. The CD is $11.28 and the Audio Cassette is $7.52, and if you mention this email message, WE WILL PAY THE POSTAGE!. Saving blues history: The fight to save Maxwell Street in Chicago from being dismantled continues. Letters are being written from everywhere, and more are needed to help save this historically important site. Please see www.openair.org/maxwell/preserve.html to find out how to help. FACTOR Deadlines April 1, 1997 TO March 31, 1998 (subject to the availability of funds.) Program guidelines, applications forms and information are available from the FACTOR office at: 125 George Street, 2nd Floor, Toronto, Ontario, M5A 2N4, tel: (416) 368-8678, or from the FACTOR web site: http://www.factor.ca. Ontario Arts Council has dropped to 1974/75 levels taking into account the effects of inflation. Considering that the province receives 20 percent more in taxes from arts organizations than it gives them in grants, one has to marvel at the short-sited vision behind the so-called “Common Sense Revolution.” While the OAC takes stock of this latest blow to culture, all grant cheques are on hold. If you need information about the status of the Popular Music Program June 15 deadline, call the OAC at (416) 961-1660. Toronto Arts Council Grants to Composers: Professional composers (read songwriters) who are residents of the City of Toronto can apply for a grant for the creation of new musical work in any genre of music (recording and manufacturing projects are not eligible). If you are applying for the arrangement of an existing work(s), you must clearly explain how this will result in a new work of music. Up to $5,000 will be awarded for subsistence and project costs. Project costs may include expenses relating to copying and preparing performing parts, studio rental and technical costs of work created in electronic/digital music. The deadline is July 2, 1997, (results available September; cheques available October). Application forms are available in early April. Projects are not funded retroactively. For more information call (416) 392-6802 and speak to Brenda House at ext. 207. Folk Alliance Showcase: If you’d like to get the chance to strut your stuff at North America’s largest annual roots music conference, you’ll be pleased to know that the deadline has been extended to June 30, 1997. For further information contact the Folk Alliance at 1001 Connecticut Ave. NW #501, Washington, DC 20036 USA, tel. (202) 835-3655, fax (202) 835-3656, e-mail fa@folk.org. Give or take, about 60 different individual artists or groups are going to apply to take part in the TBS New Talent Search (the deadline’s June 7; if you haven’t done it yet, send your application NOW). Eventually, nine bands will get chosen, and three will play each night at showcases at the Black Swan, the Silver Dollar, and the Horseshoe, on June 19, 26 and July 3 respectively. What all this means is that – presuming the average group entering has four members – some 240 musicians are probably approaching the event with a mixture of elation, excitement, we’ve-done-it-before boredom, and pants-wetting fright. Add in their managers, friends, relatives and fans, and you’ll see how many people have an involvement in what is a potentially invaluable showcase opportunity. For those who get into the “finals” it will be a testing time. And for those that don’t make the “cut” – when those anonymous “panels of experts” weed them out of the running – there will be other times, other places, other showcases, and other opportunities to push their music careers forward. A lot can be riding on this. The opportunity to be seen by potential managers, agents, media people, record company A&R folk; a tour in Northern Ontario in winter; gigs at clubs that actually pay money; an invitation to play a major festival or two – maybe even a record deal, at last. And, if you win, a gig at Harbourfront’s Heineken Soul and Blues Festival and a live broadcast on CBC Radio’s Saturday Night Blues. You’d better be good, you’d better make an impact, and you’d better be organized, or this could dribble through your fingers. Use your mailing list (you do have one, yes?). Print fliers, and hand `em out at every gig you do. Make phone calls, to everyone you know, and the media people. Make sure all your friends are there – bums in seats look like you’re happening, even if you’re not, and friendly support engenders confidence, and a better set. E-Mail Derek Andrews (and anyone else you can think of). Poster the area around the showcase. Explain why you’re more worth hearing than the other acts. Surprisingly, many artists don’t seem to plan their showcases. The point is that there should be no showcase event (formal or otherwise) – just as there should be no gig – when you are not in your best form – when your set is not completely rehearsed. You should have a perfectly balanced set of coherent, varied, and show-stopping songs, one after the other. Your between-songs talk should be pertinent and witty. You’re in command of the stage and, hopefully, the audience. Don’t make excuses for the songs, your voice, your dress, your band, the sound crew. Don’t talk down to your audience. Don’t lie to your audience (they can always tell). Never, ever, go over your allotted time. Oh, yes. Don’t be scared. There’ll always be another showcase. Next week. Next month. Or next year. Richard Flohil is a publicist, writer, editor and concert promoter who has attended and judged many showcases throughout his illustrious career. A number of DJ’s were asked what they did and didn’t want in performer promo materials sent along with cd’s. This info was assembled by Vic Bell based on discussions on the folkdj list on the internet. Send a ONE page cover letter introducing yourself and your music, your background, influences, history, etc., the sort of thing dj’s can use to introduce your music on air. * Indicate who is in the band and where they are from. * Recommend a few of your best songs. * If it may be needed, provide phonetic pronunciations of your name, album title or unusual song titles. * Provide contact info (yourself, distributor, booking, web address). E-mail addresses are particularly important and offer a cheap, easy way for dj’s to contact you. * Don’t duplicate any of the above information if it is already provided on your cd booklet. * Since letters and cd’s are going to part company, any key info not already on the cd booklet should be included on a small card that can be easily slipped into the cd case. * Photos, black and white or colour. * Pages and pages of press clippings and interviews – save `em for your mom. * Press release letters and heavy rotation notices. * Send padded envelopes with shrink-wrapped cd’s, many dj’s complain of receiving damaged materials. * Include clearly printed song lists with ACCURATE times of cuts on both the cd and package. * Include the writer’s and publisher’s names. – Top spine labeling of artist and album name on the jewel case is recommended. * Clearly label the disc itself with your name and album title, don’t obscure key information with fancy artwork. * Include an easily read lyric sheet. U.S. dj’s in particular are concerned about knowing if any cuts contain any of the “seven words you can’t broadcast”. If your songs contain such material, warnings are appreciated. * Indicate who the musicians are on each track and what instruments they play.